In the community of Esinoni, 95% of households lack access to a stable source of safe drinking water. As a result, women and girls in the community are forced to trek a staggering 15 kilometers away in order to retrieve water for their household needs. In order to change the situation, WE/Free The Children started a project of implementing a borehole to provide the more than 1,200 community members with access to clean drinking water. And WE/Free The Children constructed a borehole in the community recently and community members excited about the borehole in Esinoni. Since the structure was built closer to the community, through the borehole, community members can access to clean water, reducing the travel times and freeing up more time to be spent on other activities, like children going to school or parents focusing on activities to supplement the household income. And now WE/Free The Children is working on building some water kiosks within the community and forming the community’s Water Management Committee. The Water Management Committee is consisted of a group of community members. WE/Free The Children is giving some seminars to train the members of the Water Management Committee to manage the water system in their community. In the end, we would like to express our appreciation for financial support from TOTO Water Environment Foundation. 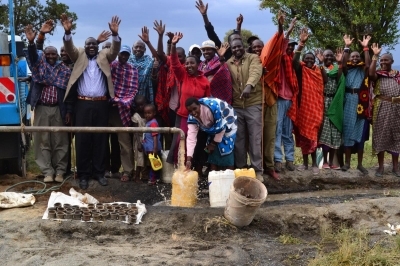 Thanks to their support, WE/Free The Children started the water project in Esinoni. We would like to thank all the other donors and supporters for this project. Thank you for your support, Ayanodai elementary school. Recently,We recieved donation for PREDA foundation from Ayanodai elementary school. There is a field to raising Organic vegetables at Ayanodai elementary school. Students are taking care of the field, and harvest crops and they are selling the crops at schools. Preda foundation that we support said need computers so, they bought 2 computers by using donation. Kids in Preda foundation are using computers to improve computer skills and to do their home work. A new Braille embosser and JAWS (screen reader) was arrived! Our purposes of Crowdfunding has half achieved. 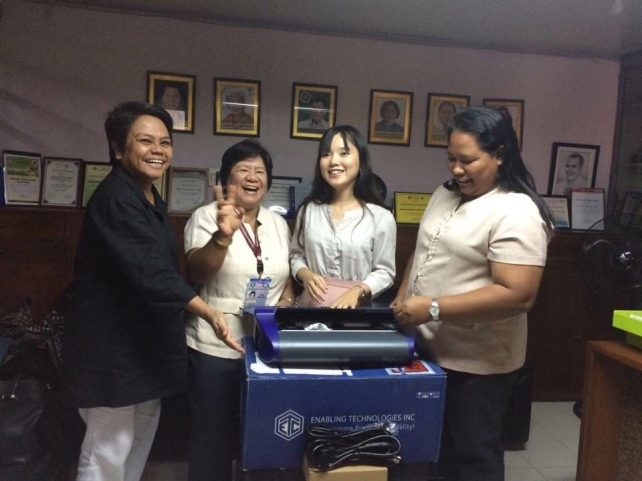 A new Braille embosser and JAWS (screen reader for computers) has arrived at the Philippine National School for the Blind on August 10. I could directly see them since I was in the Philippines during the time and we were having a meeting at the school when they arrived. I was moved to touch the embosser which had finally arrived as a achievement of our Crowdfunding.